All Arabic Online teachers have been thoroughly checked for high quality professional teaching ability. We take feedback from our students seriously and aim for a high standard of service. We have native teachers from Egypt, Syria, Jordan, Palestine, Yemen, and other mixes of Middle East and North Africa. Many of them understand English to a good level. We also have Non-native teachers who learned Arabic like you wish to do and have been teaching for some years. Non-natives are particularly useful to the absolute beginners who require high level of support with the basics. Arabic Online offers a wide range of 1-2-1 and group sessions, Beginners to intermediate to Advanced levels. 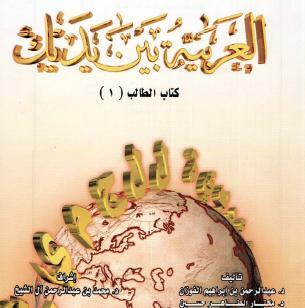 Varity of books to choose from (Madina books, Kitab Al Asasi, Arabi Bina Yadak). Group conversation sessions - where you chat on various topics with other students in Arabic with assistance from a teacher. Arabic Online is focused of teaching Arabic, however recognises the importance of providing suport in the students native language - English. There is also support for French, Spanish, Italian and German students (mainly in Writing). Arabic Online has the most competitive high quality native teacher rates in the market. We are driven by students and our rates reflect our commitment to student learning. Arabic Online has UK based English speaking administrators, which means you will never be misunderstood, will get instant replies and are speaking to former students who know exactly how important your needs are. 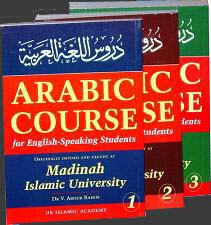 Arabic Online offers FREE no obligation 1-2-1 20 minutes session with a teacher. This allows the teachers and students to get to know each other and experience how the paid sessions will be. Clarify any questions they have, address any difficulties and gain trust in the technology we use. This is a great expense for our teachers, but necessary and students appreciate the efforts. Arabic Online caters for all levels of Arabic language, spoken, written, comprehension, specialist - Financial, Medical, Political, Legal Business oriented language needs. From the very basic Alif ba to Advanced fluency retention and poetry sessions. Arabic Online is not restricted on books that students can use to study, if it is possible for the teacher and student to have copies the book can be used. Usual reading list: Madina University books (VOL 1,2,3), Kitab Alasasi (Vol 1,2,3), Arabiya Binya Yadiak.